Ever want to spice up your Sims game? Well now you can. 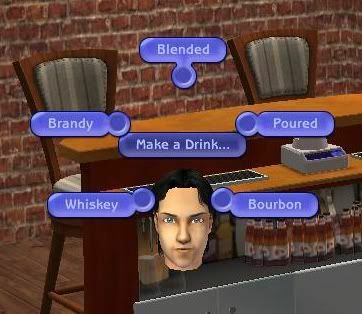 I've included 3 new drinks for a new non-default bar. They both have the same animations and functions as a regular poured drink from the bar. Teens can't use the alcoholic drinks in the bar, but can use the non-alcoholic ones. Enjoy!